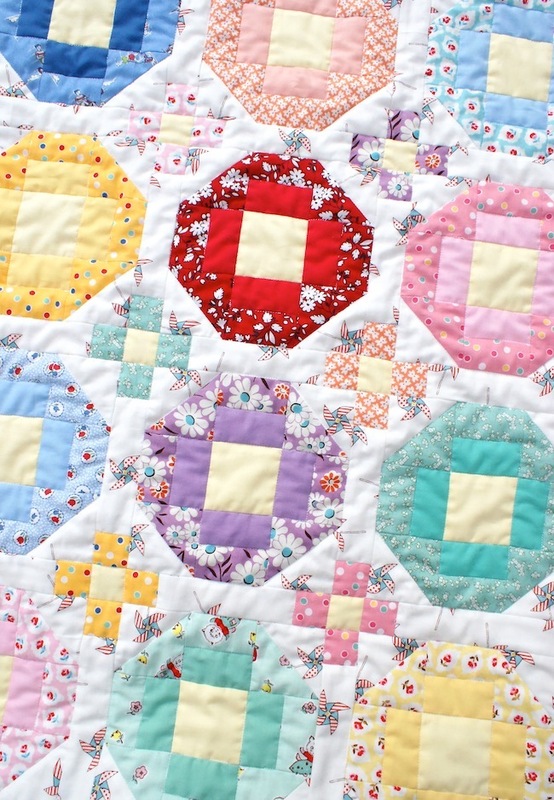 Scalloped edge quilts are officially my favourite way to finish a quilt! Really. 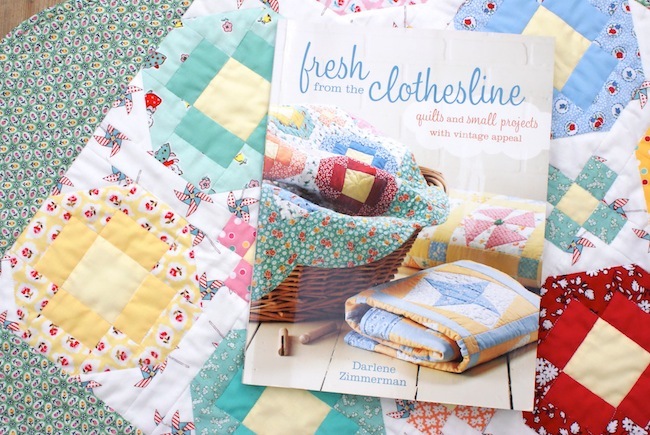 Last week I made this sweet 'Best Friends Signature Quilt' by Darlene Zimmerman from her book Clothesline Quilts: Quilts and Small Projects with Vintage Appeal , and now I want to scallop everything! It was was of those spur of the moment, I-have-to-make-this-now type projects, and I managed to get it done and dusted in just a few evenings - a quick finish is just what you need sometimes! I have too many long WIPs at the moment so it's the best feeling complete something small and have a finished article in less than a week. 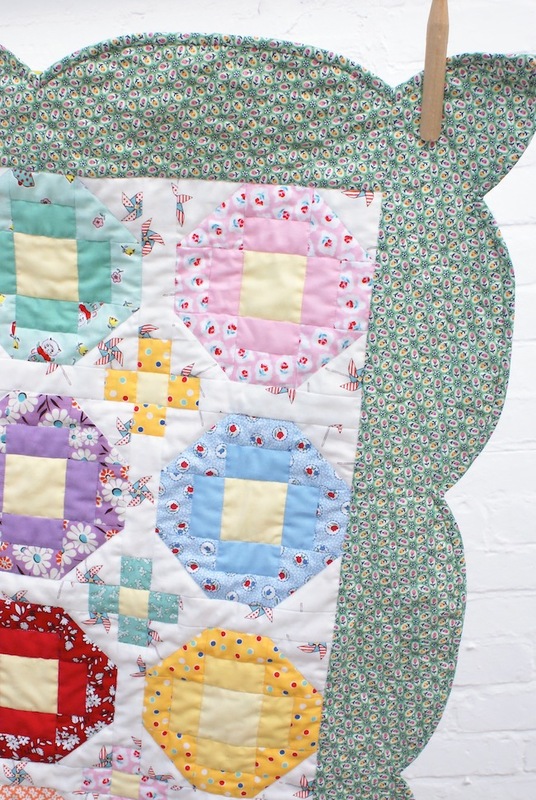 I think the scalloped edge adds the perfect finishing touch to this pretty quilt design. The pattern called for the EZ scalloping ruler, but I don't have one so I made use of a dinner plate and a tape measure ;-) (I'll have to post a tutorial on here when I next do one, it's really quite simple). I used a range of small-scale, dainty prints and coordinating pastel 1930's reproduction solids to create the 'flowers' for each block. In particular, I used a few prints from Elea Lutz's 'Milk, Flower & Sugar' collection which are the prettiest, ice-cream coloured palette and work so well with this 30's style. The green floral border and binding fabric is from the Simpler Sampler collection by Aunt Grace, unfortunately the photo's don't do that fabric and justice as it's much more vivid in real life. I love the styling used in Darlene's book, it all looks so fresh and inviting. The cover image was the main pull to make it, perfect right? 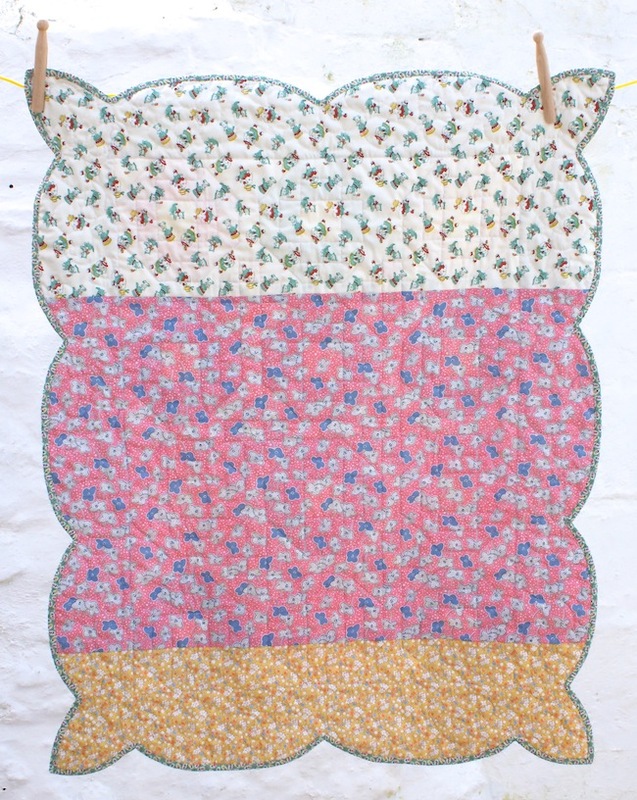 I quilted it with stitch-in-the-ditch and even did some free-motion quilting in the borders! It surprisingly worked out well - although it's hardly noticeable, typical! 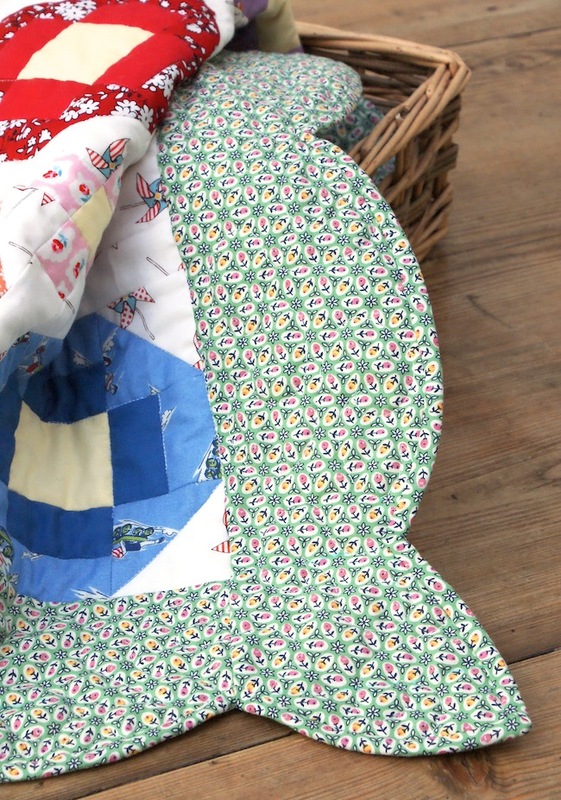 Friendship or signature quilts like this design have a long standing history in the U.S., they were often accompanied with pioneer families as they made their journey to the West. Each block would be inscribed with a signature, making them poignant reminders of the loved ones they left behind. They were also made and presented to clergymen or important people in recognition of service, too. As well, they were used for fundraisers - each person would pay a small fee to have their name on the quilt in order to raise money for a worthy cause. This is beautiful, and I love the scalloped border! This is just lovely! It's great having a quick make too! So pretty!! I absolutely love it. Next stop - finding that book! 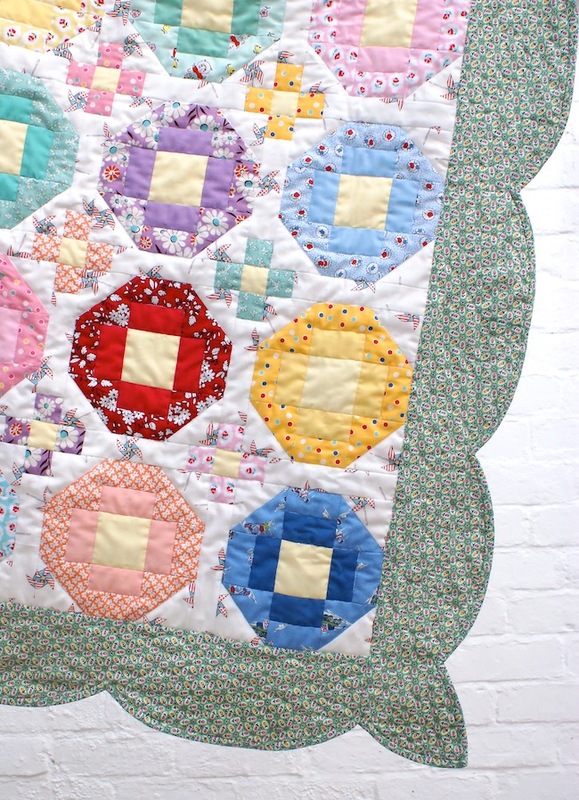 Adorable little quilt! 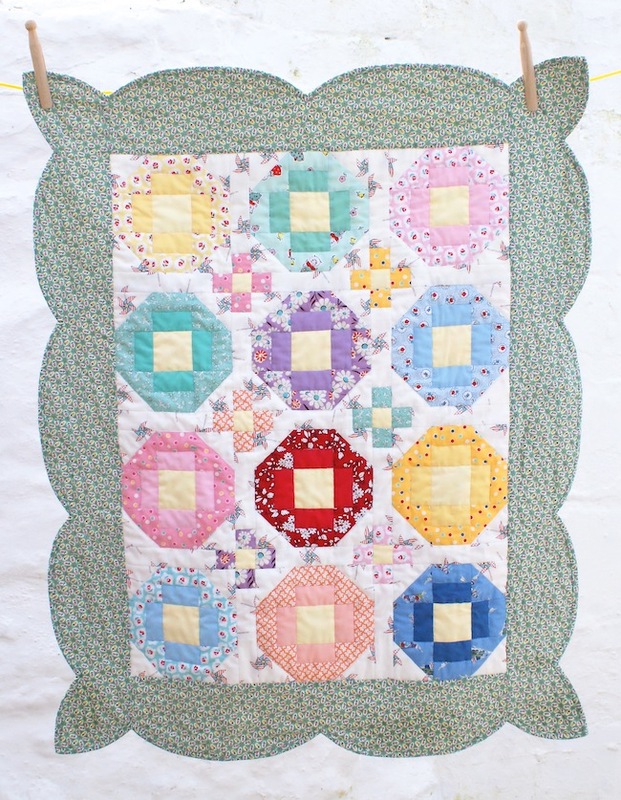 And I have the book in my collection so thanks for the reminder that there're some really sweet quilts in it! All I can say is that I love it, love it, LOVE IT!!!! !